What is Side Stitch Binding? - ColorFX Inc.
Stapling the signatures together on the side rather than the fold. Loose pages are collated and assembled into a stack. 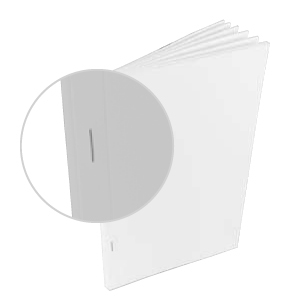 The loose pages are stitched or stapled parallel to the spine. When binding signatures, the head, foot and face of the book are trimmed. Next What is Spiral Binding? Previous What is Finish Size?